Safety measures since the entrance tile slides in the rain. Good feeling of roughness of the table, good adhesion of the tape. I want you to sell primers. I want you to put a guideline on the back for cutting. Workability was good, and it is recommended to use it together with "EC1368NT". This review is about item#37058971. The item is satisfied, but the price is a bit high. I use it for anti-slip inside the garage of the motorcycle storage (with floor). I bought it recommended by Inaba Works. Adhesion is also strong and there is firm effect of slip prevention. I was glad that it was a bit cheaper but I think it is a must-have item on the floor of a motorbike cabinet. Although I bought it for the time being, although I have not used it for now, it seems to be a rough sandpaper but I feel that I will peel off the skin for outdoor foot feet, so I can not use it with bare feet. This review is about item#02340466. I was convinced because it was the size I wanted. This review is about item#02340432. There is a better anti-slip effect, it is very satisfying. 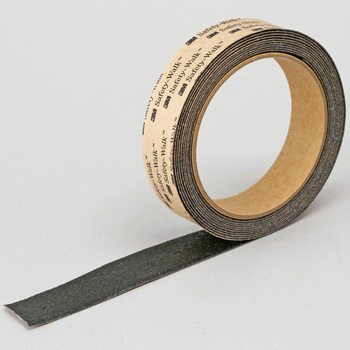 It is also recommended that the dirt does not adhere to the tape too much. This review is about item#02340457. Familiarity with irregularities It was easy to paste. It is also perfect for urging attention because it made the color yellow. Banding strips are very effective because they become slippery when wetted by rain and others. I try not to slip with my shoes so I touch it with bare hands and it gets rough.